eTextile Summer Fest is a weekend long event that is open to everyone who would like to join. The event will be held at the Paillard Centre d’Art Contemporain & Résidence d’Artistes, Poncé sur le Loir, France. 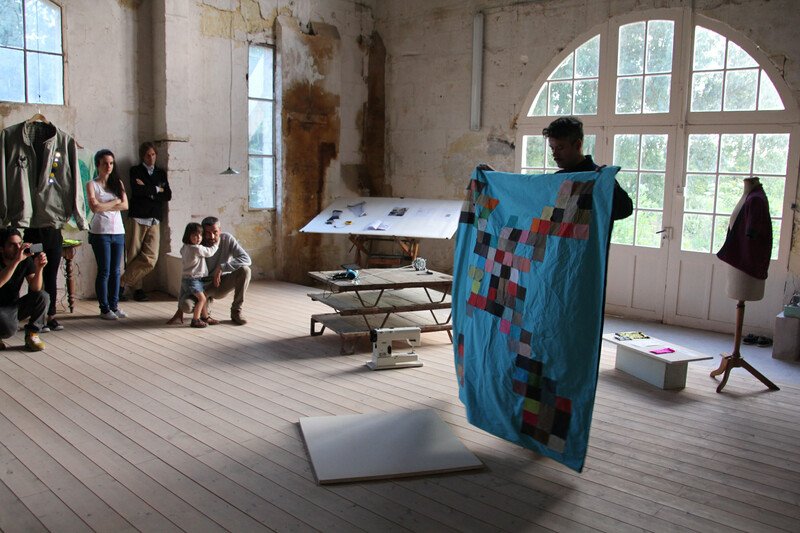 If you are curious to know more about eTextiles, or just like to hang out with us in French country side… join us for this weekend! We plan to hold many hands-on workshops. Some workshops are walk-in style that lasts for 15-30min, and some are 3 hours long workshop with registration. Please see the workshop details here. The registration form is also linked from this page. There will be also a lot of presentations, panel discussions and performances. Here is what is planned so far.. and we may even have more. If you plan to come with trains, you will need a shuttle ride from the train station to Paillard. Please feel free to pass the information to your friends and colleagues.